Contact Crystal at Forever Friends Animal Rescue to express your interest. 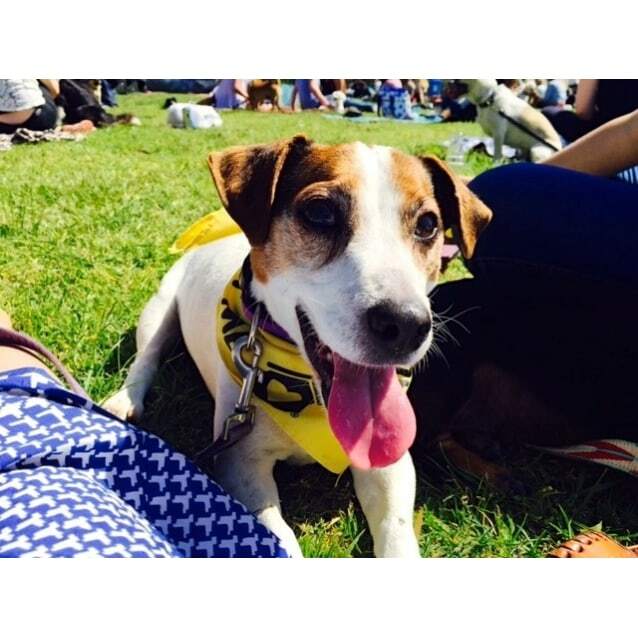 Donate to Eddie the Brave! 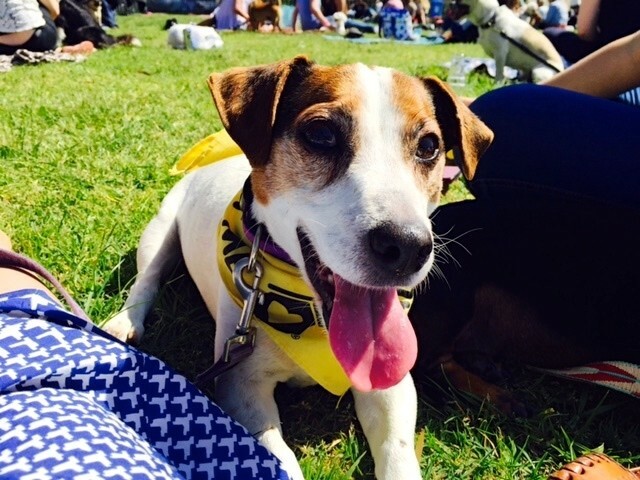 Introducing… Eddie the Brave! 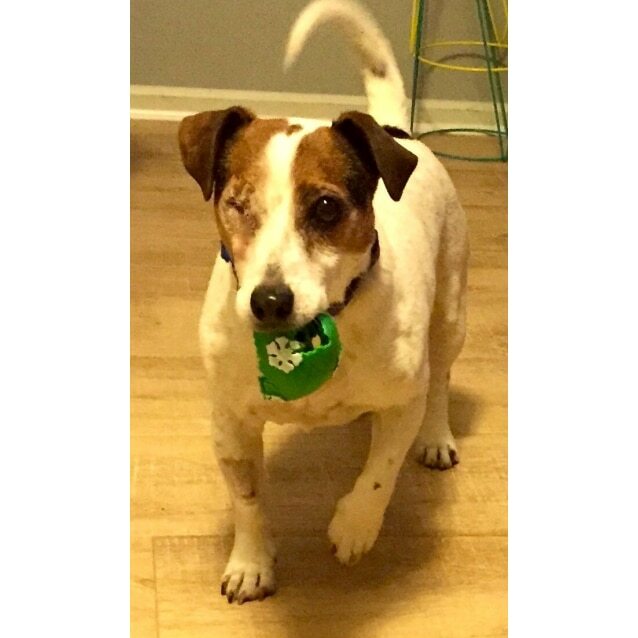 Having recently undergone an eye removal and cataract surgery, he has proven to be a little trouper! He is full of life and loves his renewed sight. Eddie is 10 years young and came to Forever Friends as a surrender. Apparently he showed too much interest in the neighbour’s chooks! 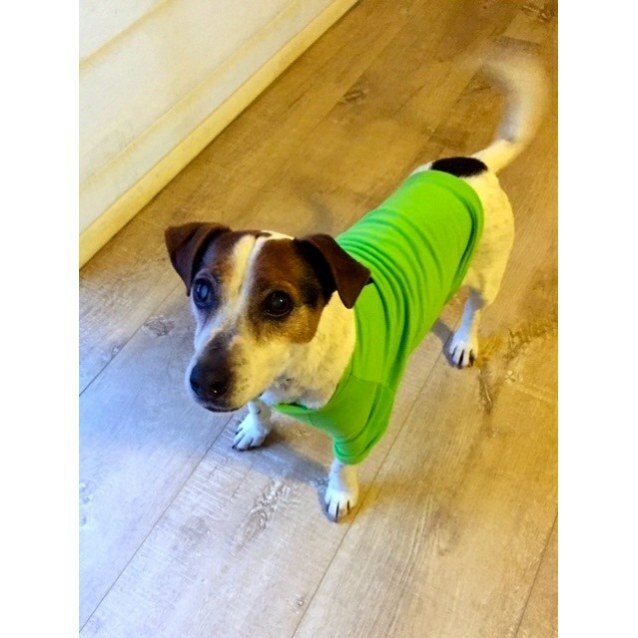 He is a very typical Jack Russell - he is playful, smoochie and stubborn. He loves the company of others and nothing makes this little guy happier than simply trotting around behind you. 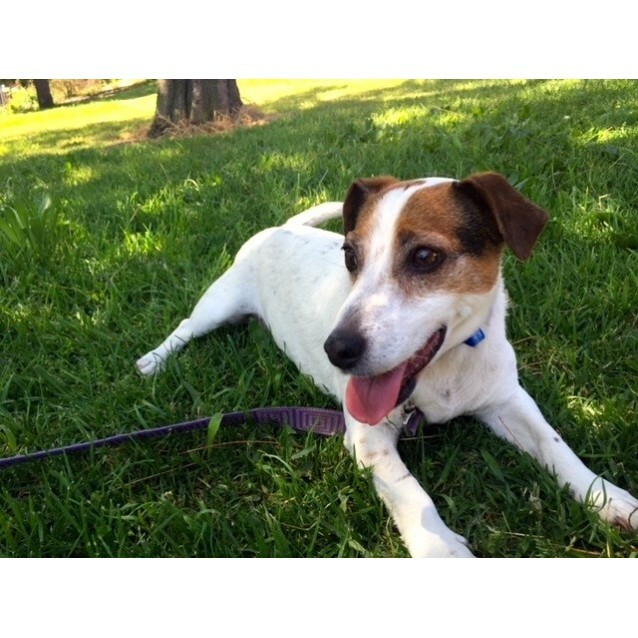 Eddie is a charmer and everyone who meets him falls in love. He is toilet trained, knows how to sit, stay, drop and walks beautifully on a lead. 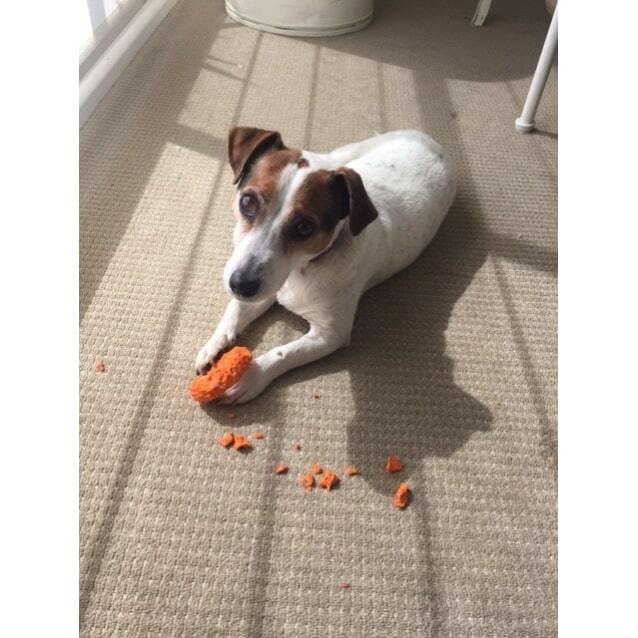 He has excellent recall, eats whatever is put in front of him and is unfussed by other dogs. 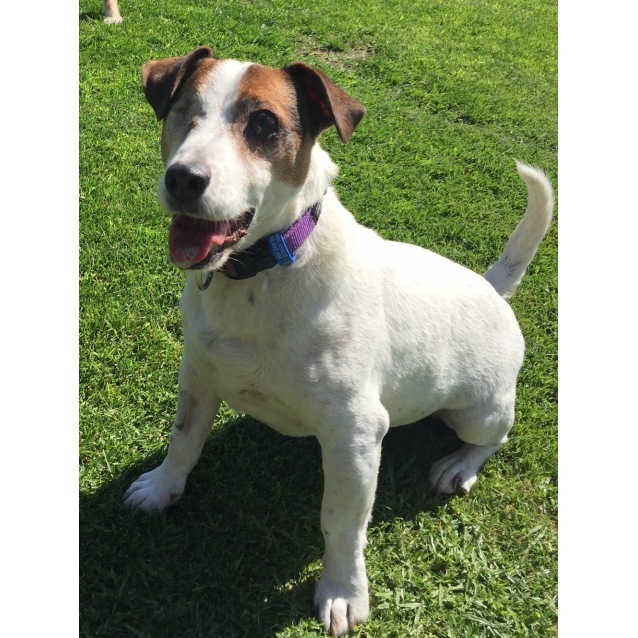 Eddie’s perfect home is one where he will have company – whether that be human or canine (no chooks/cats/rabbits). He likes to hog your attention so we would recommend a home without small children in case he gets jealous. He will shadow your every move and snuggle with you on the couch. He cheekily sneaks onto your bed once you are asleep and curls up alongside you. He loves to destroy dog toys and comes with a free black Kong! 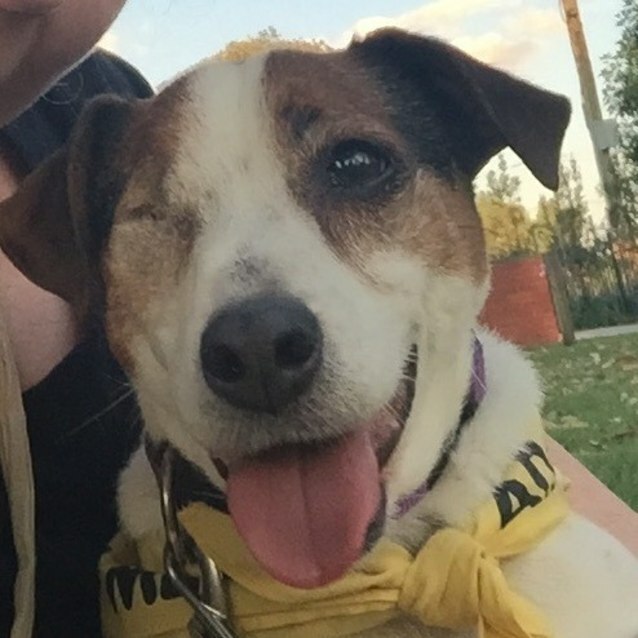 If you think one-eyed Eddie could fit into your lifestyle – we’d love to hear from you. 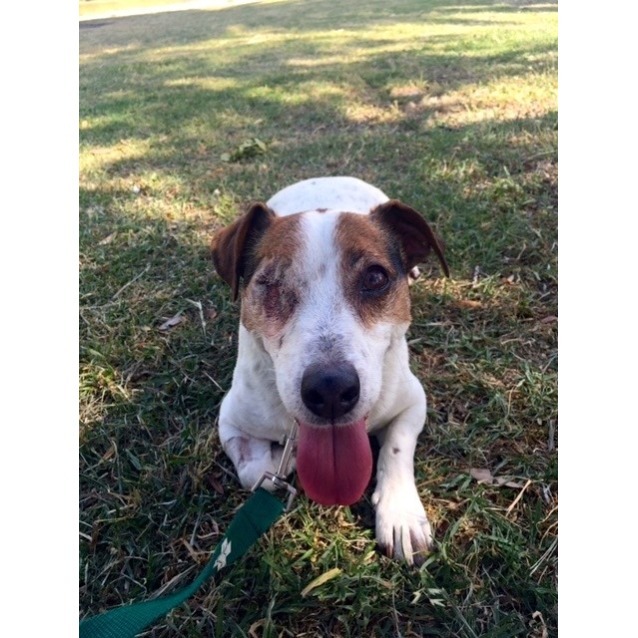 Eddie is recovering beautifully from a recent eye removal and cataract surgery. He is a happy, healthy fellow: desexed, vaccinated, microchipped and flea and worm treated.